This is for the Anker ® CB310 Full-Size Ergonomic Wireless Keyboard and Mouse Combo that you can't even get anymore . I absolutely love this product. When Anker meant to design a whisper-quiet keyboard, they really meant it. The thing is almost completely silent when typing and is extremely comfortable to use. The quick keys at the top are so crucial to my daily work. Whether I am stopping or starting a video, opening up my desktop, email, or calculator, this keyboard has a quick key for it. The original battery also lasted 9-12 months of heavy daily use in the office. Now for the mouse, the mouse may be the best part. It is very comfortable and you can set the DPI to your favorite speed. The forward and back buttons come increasingly helpful as you peruse through the internet and it is small enough to fit in your pocket to take to meetings. The original battery did not last as long as the keyboard, but only needing to replace every 5-6 months, is extremely awesome. You can't go wrong with this product and the biggest thing to improve is to bring it back. I wish Anker still made this one! This is for the Soundcore Boost. I bought this speaker by amazon.de. After i have reading some testreports in different sources i decided to buy the soundcore boost. i turned the soundcore on and paired with my phone i was woundering about the amazing sound. Bass there is a real good bass in this little speaker. Sound is more than good and i would buy this great speaker everytime again. Now the soundcore boost is in holiday my best partner for music. I am happy with this beast ! The fit of the case on the iPhone (the iPhone 5S was used in testing) was snug and tight with no slop. The sides are covered and protected fully while the top and bottom are open quite a bit which will allow uninhibited accessory usage. The sides and corners of the front are elevated slightly to allow a raised ridge around the screen which protects the screen from coming into contact with what it’s placed upon. Accessibility of the side buttons is uninhibited as is the top button. It should be noted that this case is not very “grippy”...it’s slick and glossy but does have a bit of grip to it. Definitely not like one of those clear TPU cases that have some cushioning and give to them. Being a minimalistic case, expect just that; protection from mainly bumps, light knocks and scratches. Don’t expect very much protection from falls...it will protect some, but only up to a point. A great minimalistic case overall and another win for Anker. Hello everyone, I hope your having a great day!!! I have the Powerport 2 Elite and my mom has the screen protector for the 7s plus. I love the Powerport 2 Elite because it has two ports and it really fast, almost as fast as my quick charger for my Galaxy S7 Edge (only 5 min difference). The two ports are amazing because my little sister and I play Minecraft and it's great that we can plug into the same port and both charge at the same time. The Powerport 2 Elite is a very high quality and durable product (trust me, I'm fairly clumsy) that performs very well. I am looking forward to getting the Powercore Speed 20000 in a week or two and I know that it will be an amazing product. My mom also loves her screen protector. It is extremely clear and high quality. Good luck to whoever wins!!!!!! 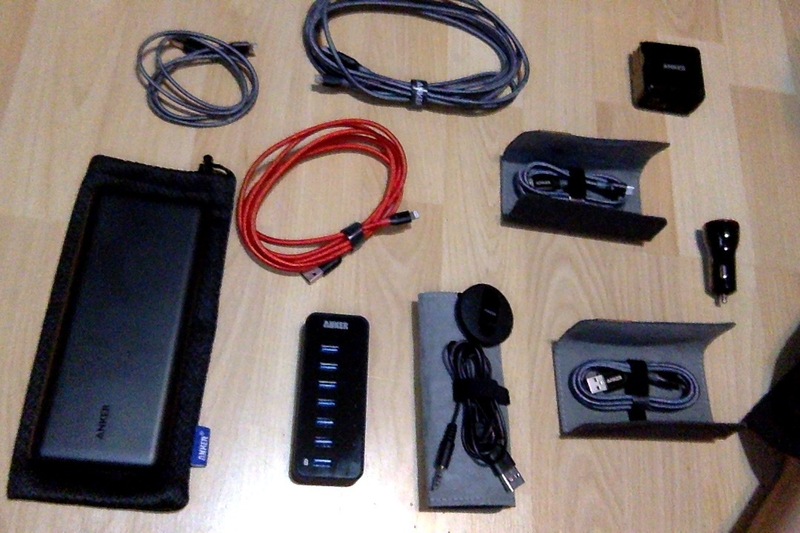 I have so many favorite items it is hard to decide which one, so I will review the very first product I purchased that got me hooked on Anker. I bought three Anker PowerPort 6: 60W 6-Port USB Charging Hub w/PowerIQ for my two college aged daughters and me. They love having these in their dorm rooms because they only need one outlet to charge all their electronics. Which frees up the other outlets in their rooms for other things. With outlets being few and in hard to reach places, it makes it very easy to access and charge without having to search for their plugs and cables. I bring mine whenever we travel overnight anywhere so we can all charge our phones and electronics without having to bring a bunch of wall plugs. This charging unit works great and is very compact so it takes up very little space. Anker has the best customer service around and stand behind all their products. I love all my Anker products and look forward to seeing what new and exciting items you will come out with next!! This is for the Powercore+ 20100, this is an incredible battery, I was looking for a battery pack that can charge my MacBook Pro 2016 13in which has USB C, with this port I could finally use a battery bank, I had previously owned a power bank from Anker, and I was extremely satisfied from that product so I decided to go with anker again, the Pwercore+ 20100 can charge 3 devices at the same time which is great because I am always out with friends. I also travel a lot and I use my laptop a lot and I am sometimes away from a power source, this battery bank did the trick, it charges my 13 in MacBook Pro 2016 completely, it even had enough extra juice to charge my phone a couple more times. I am extremely happy with the powercore+ 20100, would definitely recommend getting it, . This speaker is so small and cute! It certainly surprised me how loud and punchy the sound is coming from it's relatively small size. This speaker is small and compact (literally fits in the palm of your hand), which makes it perfect for traveling. It even comes with a small pouch so you can carry it in your backpack or hang it around your wrist. One small flaw on this speaker is that you can't charge it while listening but it finishes charging around 3 hours, giving abour 12 hours of listening use. It'd be nice if there were more color options too. I've had this speaker for a little over a year and it still looks and sounds like it's in new condition. I highly recommend this speaker to anyone who wants a simple small affordable speaker that'll last for a long time! Hi @benjani55 , expanding your review to include reasons of your feature likes (or dislikes of the product) along with a picture or two will help others who maybe interested in this product, not to mention helping your chances of qualifying for a prize. Where do I start. I bought this speaker as I know Anker only produce high quality items and for the price I thought why not. Just received it and can honestly say you won't find a better speaker without spending about triple the amount. The quality stays crisp and the bass is impressive even at full volume. It gets pretty loud and still manages to keep the quality of the audio top notch. With the new feistier like water and dust proof I can finally use a quality speaker without worrying about any steam of my shower affecting it. Would absolutely recommend and I now love Anker products more then ever. For the price go for it, I have already ordered a second one for my girlfriend. 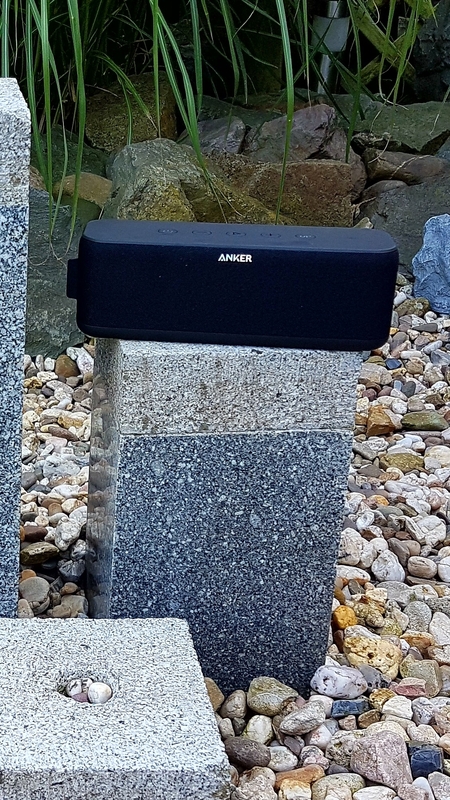 With almost endless options for Bluetooth speakers, I turned to see the offerings from Anker, a brand I've come to trust from previous purchases plus this speaker has over 4,500+ reviews on Amazon I felt confident the sound from this speaker would be sweet to the beat. 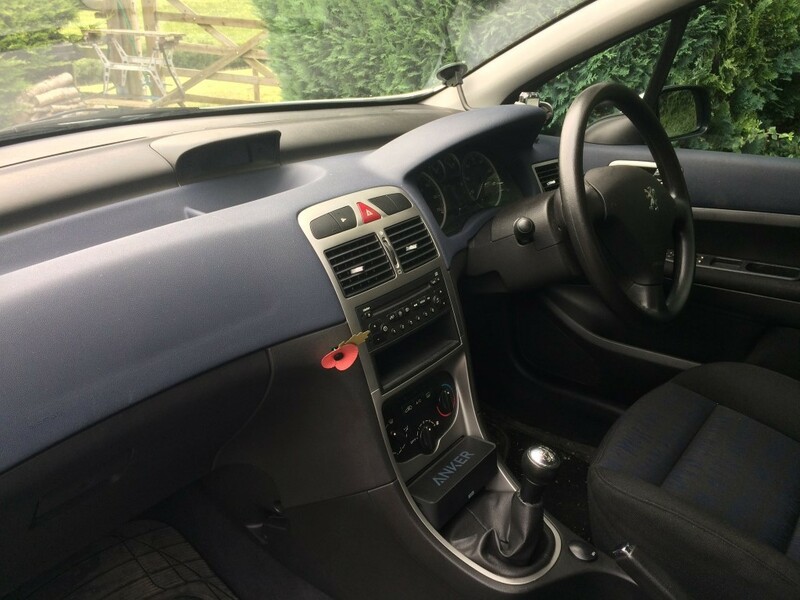 My car is from the era of CD players before any Bluetooth connectivity or even an aux input so could I find a solution to play my tunes via a portable Bluetooth speaker for the car, a speaker which still filled the car with delightful sounds and didn't have to be plugged in all the time. Well, yes, yes I could. It's almost like when Anker designed this speaker they had me in mind, thinking to themselves hey, this will perfectly snugly fit in Nib's car to give him a solution for his outdated stereo and hear quality sound while driving on the open road. They were right. 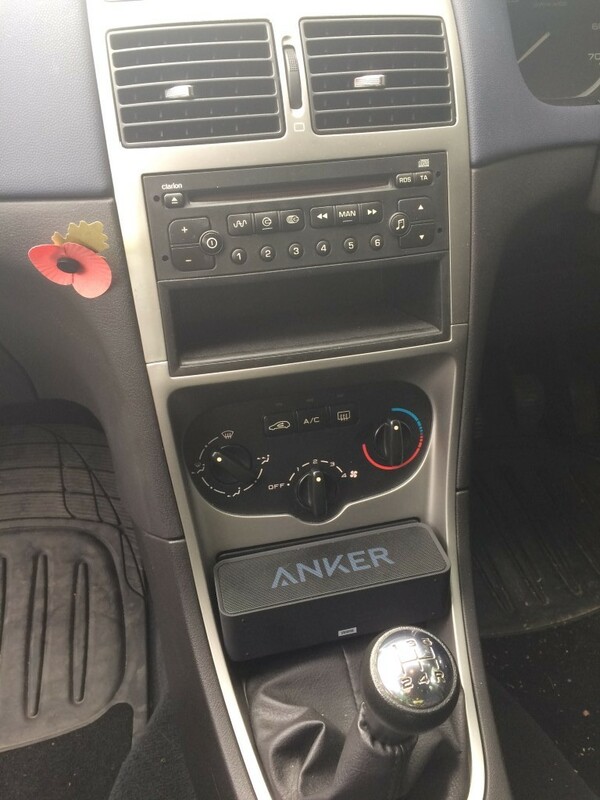 It's the perfect solution for me and my car, Thank You, Team Anker. With a rich sound playing all my latest tracks booming through the 6W (2x3W) speakers while driving it's truly impressive how this relatively small compact portable speaker can fill the car with tunes. A brilliant bonus is the built in mic for hands-free calling too, perfect! This speaker keeps on giving too, with a 24-hour battery it doesn't matter how long my car journey is it keeps on playing and being ultra portable when I reach the destination the speaker can easily come with me to continue the fine tunes gracing your ears. The build quality matches the sound this speaker pumps out, quality. It's what I've come to love and respect about Anker. Simply you can trust and rely on Anker to deliver. Thank's to Anker for caring so much about providing such a tip-top product. Bravo Anker, Bravo. I'll talk about an Anker product that seems small and trivial, but for me is used daily and has a lasting impact. The Anker PowerLine USB cables are used by me and my family at least daily to keep our phones charged. I ordered a pack of 5 about a year ago due to a wobbly micro usb cable and a cracking usb cable receptacle in my old Samsung cable. My friend recommended me to buy Anker, as he has experience with it and has bought multiple Anker batteries from them, so I decided to give it a try. I'm still using the cables to this day, with little to no scratches on them. Excellent placement of the SoundCore...it's like that spot in the center console was meant to hold it. Oh, I forgot to mention that I think Anker should make a solar panel with a 20,000 + mAh battery built in. Like the powerport fusion, but solar. Quick Charge is the best and my favorite feature. Love it!!! That is odd you are finding the solar slow to charge the iphone. It should be as fast as anything else possible. Did you try unplugging and replugging? The usual weakness with Apple and solar is the Apple locks its draw to the lowest it sees so any temporary shade on solar then permanently lowers the ingest. This is the primary reason why most Apple users use an intermediate battery which is less finnicky with solar to then produce a constant output to the finnicky Apple product.